Within ASA, Tom Davis’s death and the general inadequacy of the PRD-1 sparked the search for a better tactical DF alternative. 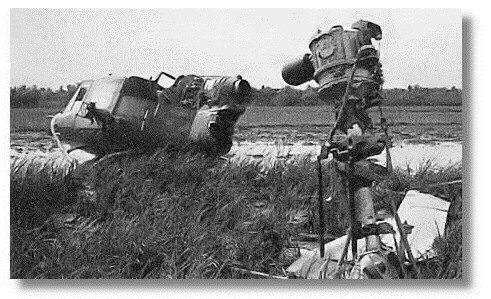 The French had used airborne radio direction finding with some success in their Indochina war, but initially ARDF was not high on the list of possible solutions for the U.S. Army. 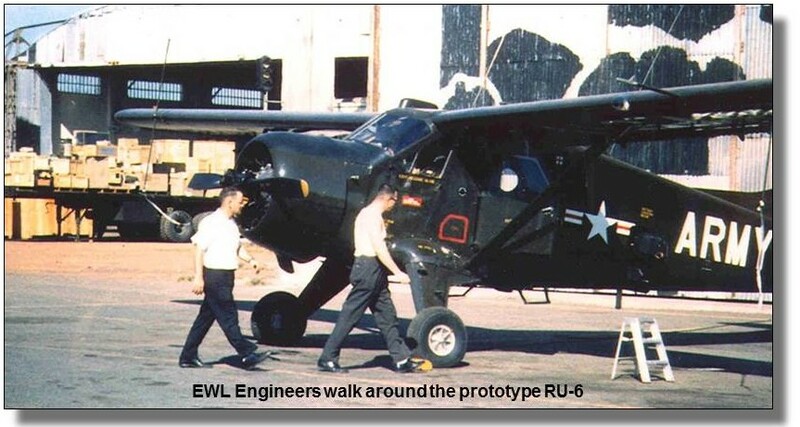 When improvements of existing ground-based DF designs failed to pan out, ASA called upon the Electronic Warfare Laboratory (EWL) at Fort Monmouth, New Jersey. Engineers there had done some preliminary work on an ARDF system, including experiments with a Sikorsky H-19 helicopter. When these, too, proved unsuccessful, the team turned to the U-6 “Beaver”, a rugged single-engine airplane built by DeHavilland Canada for use in the bush country. The Beaver dated from the Korean war; over the years the army had procured several hundred as general purpose utility aircraft. In March, 1962, the EWL engineers departed for Vietnam to field test what would later be designated the AN/ARD-15 ARDF system. Dipole antennas, spaced about 40 feet apart, were mounted on the leading edges of the Beaver’s wing, in effect turning the entire airframe into a large “H-Adcock” antenna array. The ARD-15 operated on the “aural null” principle; when the signal of interest could no longer be heard (the null), the target was either directly off the nose or tail of the aircraft. In practice, keeping the target off the nose proved to be a non-issue. For proper functionality, however, the wings of the aircraft had to be kept level while chasing the signal. This necessitated “kicking rudder” to fishtail the aircraft from side to side while the operator determined the null and notified the pilot, who then noted the heading of the aircraft. All this was relatively straightforward, if perhaps uncomfortable for the operator who was whipsawed to and fro as the pilot attempted to find the null. The tougher problem with ARDF is to determine the precise location of the aircraft at the instant the line of bearing to the target is taken. In the Beaver, this was accomplished by banking the aircraft, taking a look out the side window, and marking the corresponding spot on a map in the co-pilot’s lap! The drill was repeated until either the target ceased to transmit or enough LOBs had been taken to triangulate a fix. From the tactical standpoint, the fact that the aircraft had to repeatedly turn directly towards the target was certain to raise questions in the minds of enemy radio operators. In late March, 1962, after some controlled field tests in the Saigon area using captured enemy equipment, ARDF went operational in the form of the “Vietnam Flight Detachment” of the 3d RRU. The detachment was made up of pilots detailed from other units and intercept operators seconded from WHITEBIRCH or other ASA functions. Over the next few weeks, the crews of the Beavers fixed six major targets associated with the Viet Cong command structure. Within four months, the crews of the Beavers had flown 162 missions, during which 23 transmitters were fixed, locating an estimated 16 enemy headquarters. Despite these results, Washington’s counterinsurgency plan was having little effect in the hinterlands and Viet Cong terrorism was on the rise. To the typical American advisor, who by disposition and training thought in terms of conventional tactics, the problem boiled down to one thing—the communist guerillas could be whipped if they would only stand and fight! 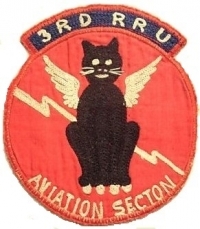 In the waning days of 1962, ARDF provided just such a set-up when the U-6 Beavers of the 3d RRU fixed a Viet Cong transmitter in a “liberated” village about forty miles southwest of Saigon. Collateral intelligence also indicated that the radio served a major enemy headquarters, guarded only by a reinforced company. Here was an opportunity tailor made for American tactics and technology. U.S. Army helicopters, escorted by “Huey” gunships, would lift an ARVN battalion into a landing zone north of the village, while M-113 armored personnel carriers moved a mechanized company in from the west. A local civil guard force would block from the south. The VC would have to fight or, if they attempted to flee to the east, be decimated by artillery and air strikes. The ARDF fix may have been accurate; the rest of the intelligence was not. The enemy force was considerably larger than reported and was arrayed mostly to the south and east of the expected location, closer to the village of Ap Bac. Nonetheless, the South Vietnamese outnumbered the VC by at least 4 to 1 as the battle began in the first hours of daylight on 2 January 1963. One part of the operation went as anticipated—the enemy stood his ground. Almost nothing else went right. In action lasting well into the night, the South Vietnamese suffered around 60 killed and more than 100 wounded. Five U.S. helicopters had been shot down, 3 Americans killed, and another 6 wounded. From a combat standpoint, the battle at Ap Bac was simply one of thousands of fire fights in the Vietnam war. The South Vietnamese had not performed well, but the Viet Cong were gone, and had likely suffered greater casualties. But interpretation of the battle results sparked open hostility between the news media and MACV leadership. For months American correspondents had painted a considerably bleaker picture of the war than the consistently rosy official reports being funneled to Washington. The debacle at Ap Bac seemingly reinforced the reporters’ contention that not only was the war going badly, the American people were not being told the truth about it.